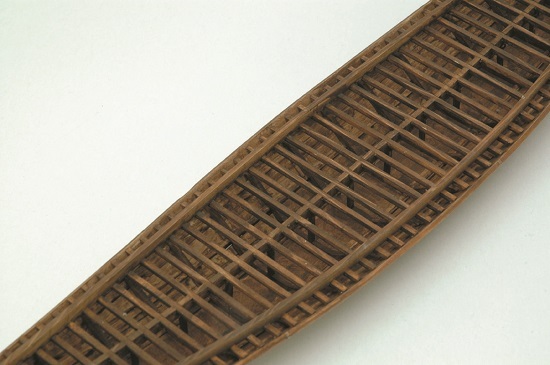 Here’s a rare model kit of an ancient Egyptian boat excavated from a Pharoah’s tomb. 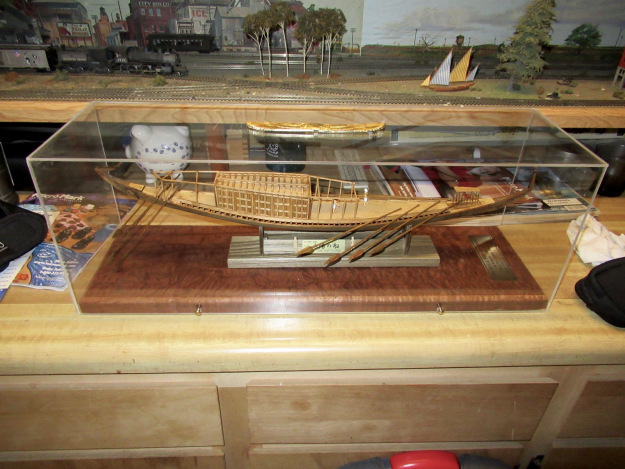 This one, produced by Woody Joe of Japan, was built by SMA member Don Dressel. 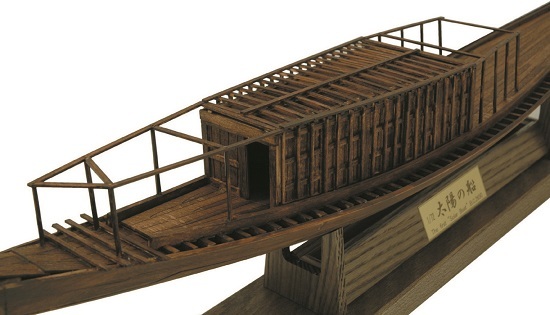 Several years ago, Woody Joe came out with a unique wooden model kit of the Solar Barge of Khufu, also known as Cheops, King of Egypt from 2589 B.C. to 2566 B.C. The ship was buried with King Khufu, and intended for use in the afterlife. It measures 143 feet long and is one of the most well preserved, largest and oldest vessel ever discovered. Woody Joe produces this 1/72-scale kit, making heavy use of laser-cut wooden parts. It’s a beautifully designed kit, with the model measuring around 23″ long when complete. It’s designed to be fairly easy to build, though of course the instructions are in Japanese. Mr. Dressel reported that he did have some difficulty interpreting some of the instructions until he downloaded the Google Translate app on his iPad.